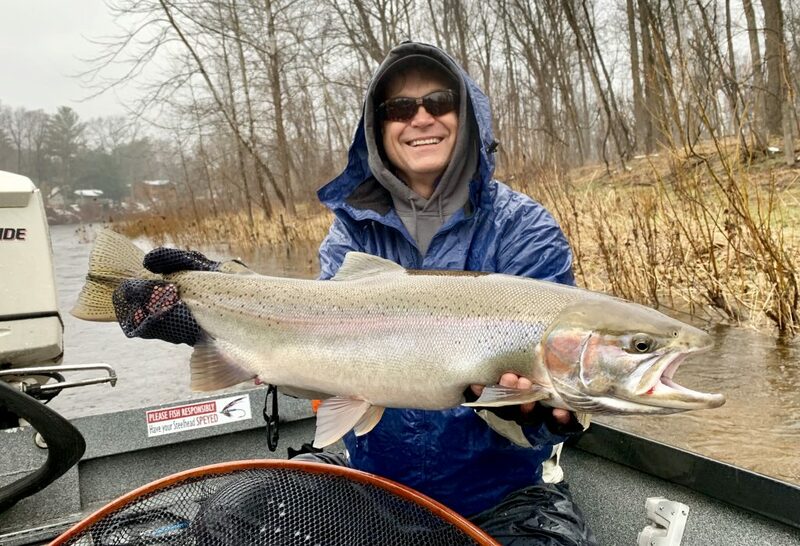 Soggy days and steelhead go hand-in-hand. The first half of today was certainly that. Sunday nights snow is quickly melting. Combine this with the rain received and the forecasted rain, we’ll need to keep an eye on where the river levels go. Currently the river is clear, but high @ 5200cfs. Let’s hope we can shed a bit of this flow before the thunderstorms give us too much water. Wrapped things up with the Kehl group today, Brad is sure to be smiling for quite a while with what I’d assume is a personal best. Congrats Brad, see you next spring.